I have one article on the ancient Carthaginian and Roman sites of Tunis and another on Tunisian cuisine in the current edition of New African. The pieces are not online yet so it’s well worth buying a hard copy through the site right here, even if I say so myself. The hearty casserole known as Sauce Claire has a distinctively sweet-sour yet briny flavour that’s derived from slow-cooked aubergines, shrimp paste and fish scales. It’s best complemented by foutou (cassava dumplings), whose slightly sweet undertone comes from the small amount of plantains pounded into the mix. Côte d’Ivoire’s other favourite stew is Sauce Graine, a rich and warming concoction of garlic, onions, tomatoes, chilli and palm tree grains. The vital ingredients, though, are kable, an indigenous aromatic leaf and akpi, an African spice that not only thickens the sauce but adds a smoky, barbecued dimension to the flavour. Sauce Graine is so versatile it works with chicken breast, beef thighs and white fish. My preference is to mix it with agouti, a jungle rodent and Ivorian delicacy. When I first tried it, I was so surprised by its gamy aftertaste and tender texture that I wondered if the chef had decided that my foreign stomach wasn’t strong enough for this very local bushmeat and given me duck instead. But an Ivorian friend tasted the meal and confirmed that it was indeed agouti. In Côte d’Ivoire’s maquis (al fresco restaurants), Sauce Graine is often served with alloco (plantains pan-fried with onions, chilli and salt). Like Moroccan tagine or Indian biryani, kedjenou owes its full-bodied and intense flavour to hours of cooking in a sealed pot, preferably over a wood fire. Healthy doses of ginger, fresh chilli and black pepper make this one for spice fans. The literal translation of poisson braisé – “braised fish” – hardly does justice to the beauty of this dainty. 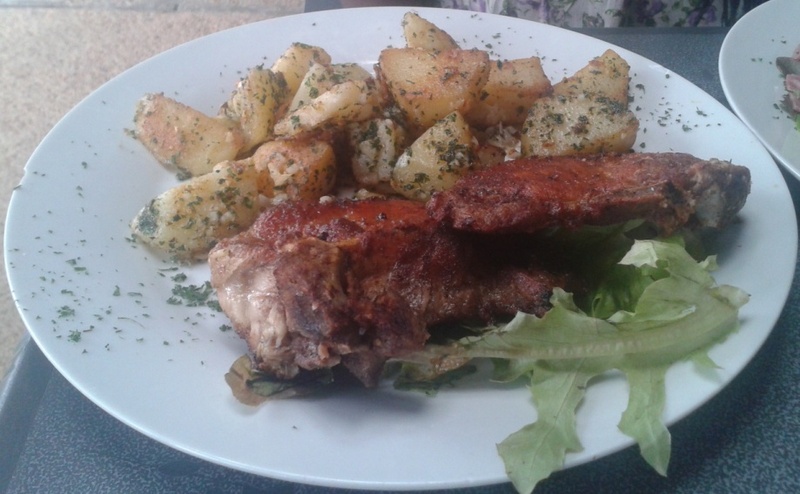 Back in the late 1800s, French colonisers brought with them a very Gallic marinade – lemon juice, garlic, parsley, onions and tomatoes – and got delicious results when they rubbed it into perch, capitaine and other local catches, before putting them on the grill and wolfing them down with helpings of attieké (a cous-cous-like side dish made from cassava shavings). My article celebrating Malaysian cuisine is now appearing in The Expat magazine. Entitled ‘Around Malaysia in Eight Dishes’ (see what I did there with the punning title? ), the online version can be found here.